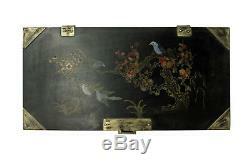 Chinese Black Lacquer Flower Bird Graphic Rectangular Display Box cs3344. 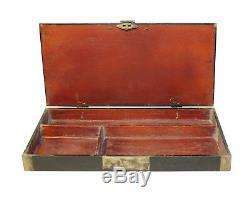 This is a handmade Chinese accent decorative box in a rectangular shape with metal hardware at the corner. 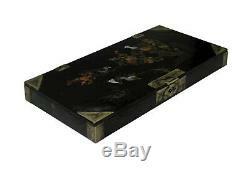 The surface is a layer of black lacquer and multi-color flower birds scenery graphic. Dimensions:&###xA0;&###xA0; 16" x 8" x h1.75 Origin:&###xA0;&###xA0;&###xA0;&###xA0;&###xA0;&###xA0;&###xA0;&###xA0;&###xA0;&###xA0;&###xA0;&###xA0; China Material:&###xA0;&###xA0;&###xA0;&###xA0;&###xA0;&###xA0;&###xA0;&###xA0; Wood Condition :&###xA0; handmade, not perfect, rustic vintage finish. (No charge)&###x200B;&###x200B;&###x200B;&###x200B;&###x200B;&###x200B;&###x200B; &###x200B;&##x200B. &###x200B;&###x200B;&###x200B;&###x200B;&###x200B;&###x200B;&##x200B. We advise you to use a reputable carrier service when returning your goods. Customer is responsible to report any&###xA0;damage within 7 day after receiving the item. Please take photos for record and send to us. &###xA0;&###xA0;All packing material should be&###xA0;kept for demage claim. We usually respond within 10&###xA0;min during office hour. Dimensions: 16" x 8" x h1.75 Origin: China Material: Wood Condition : handmade, not perfect, rustic vintage finish. 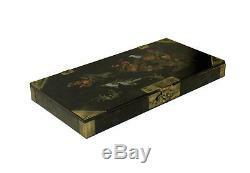 The item "Chinese Black Lacquer Flower Bird Graphic Rectangular Display Box cs3344" is in sale since Friday, October 27, 2017. 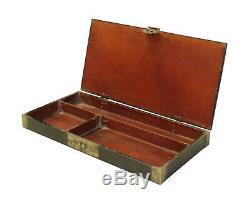 This item is in the category "Home & Garden\Home Décor\Boxes, Jars & Tins". The seller is "goldenlotusinc" and is located in San Mateo, California. This item can be shipped to North, South, or Latin America, all countries in Europe.